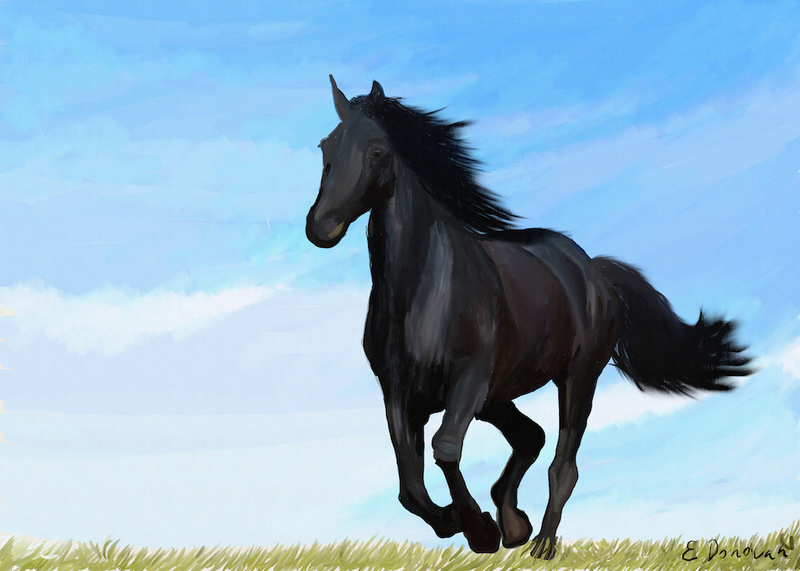 Since time immemorial humans painted horses. 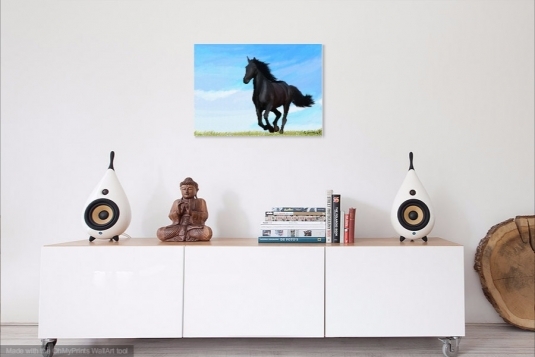 A horse is a symbol representing freedom, speed and beauty. For me, a horse running wild is always a sight that makes me feel like I’ve touched the divine. This equine painting shows a black horse galloping freely. The setting is minimal, with only the sky and green grass in the background.